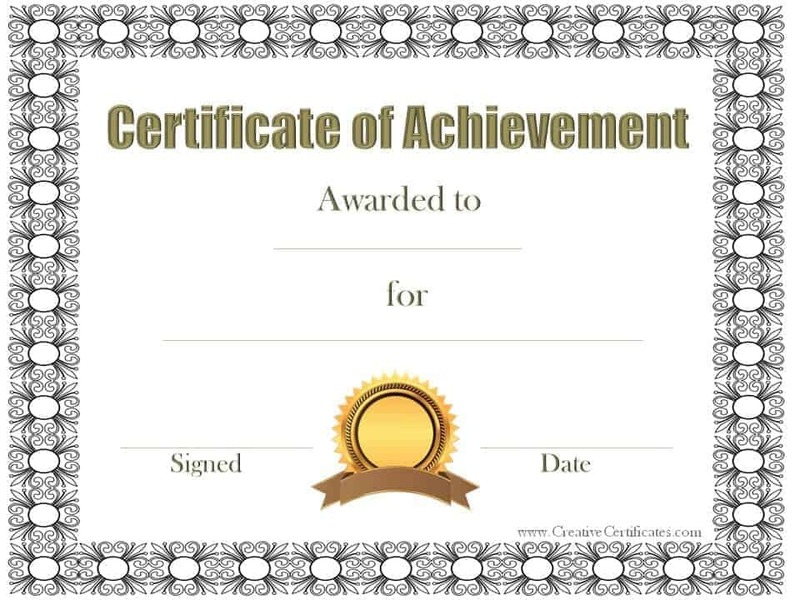 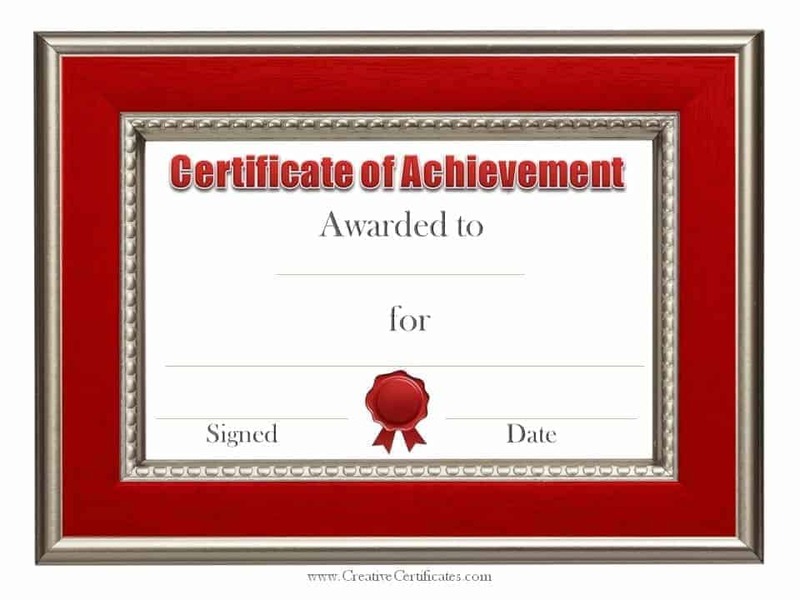 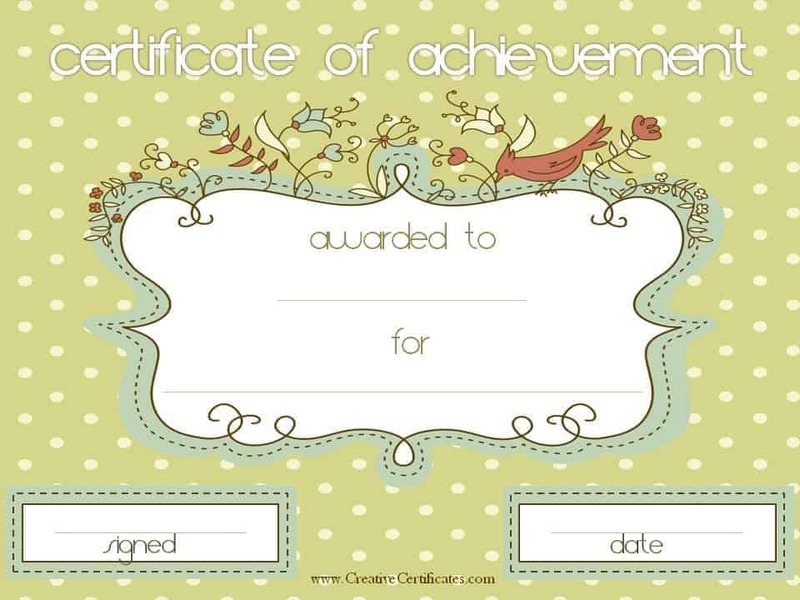 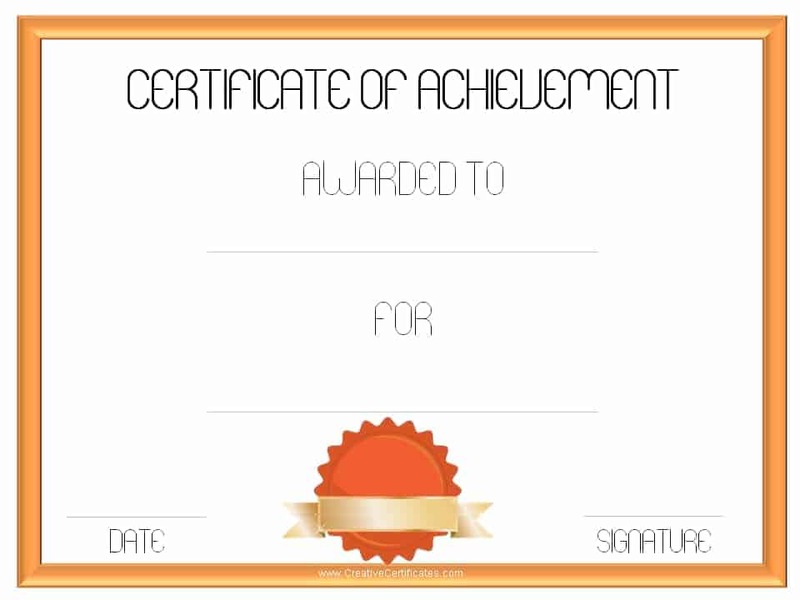 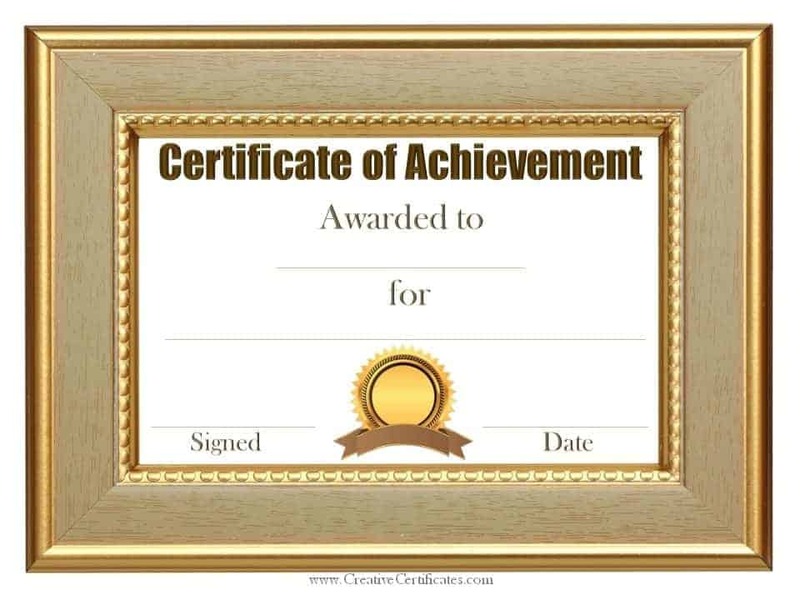 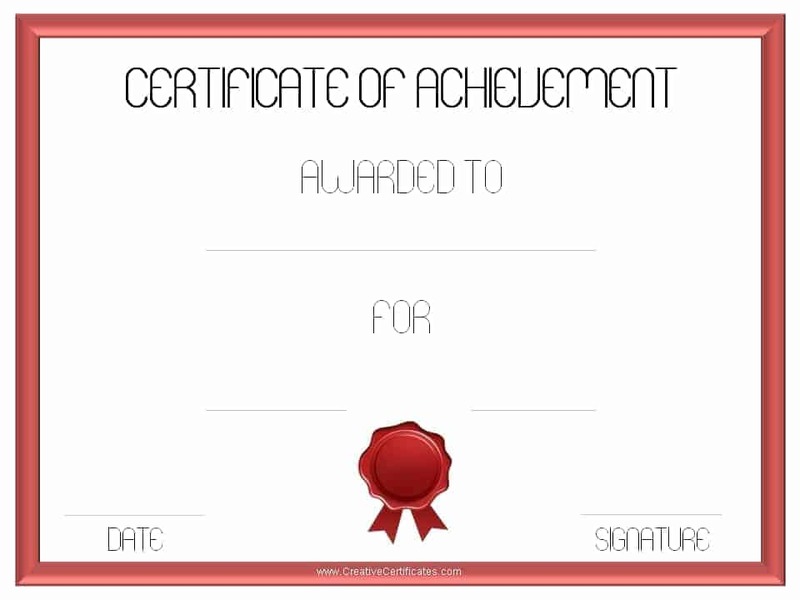 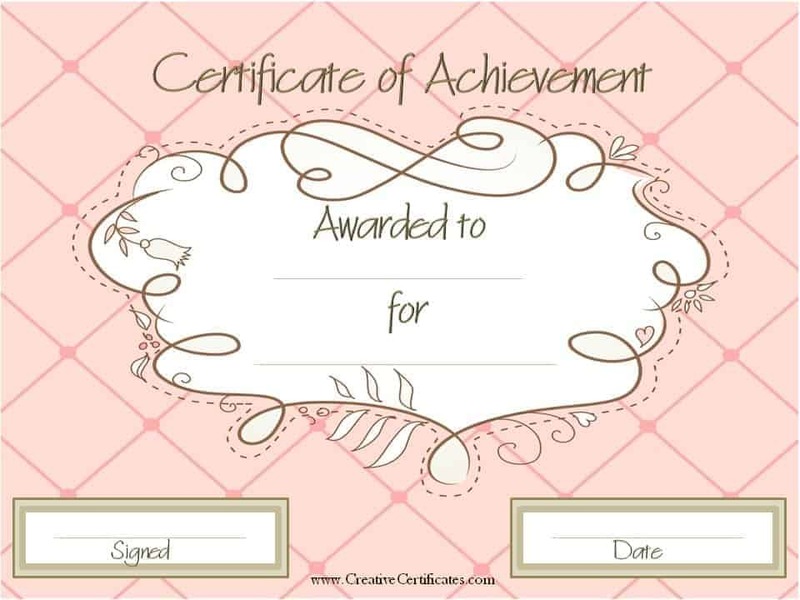 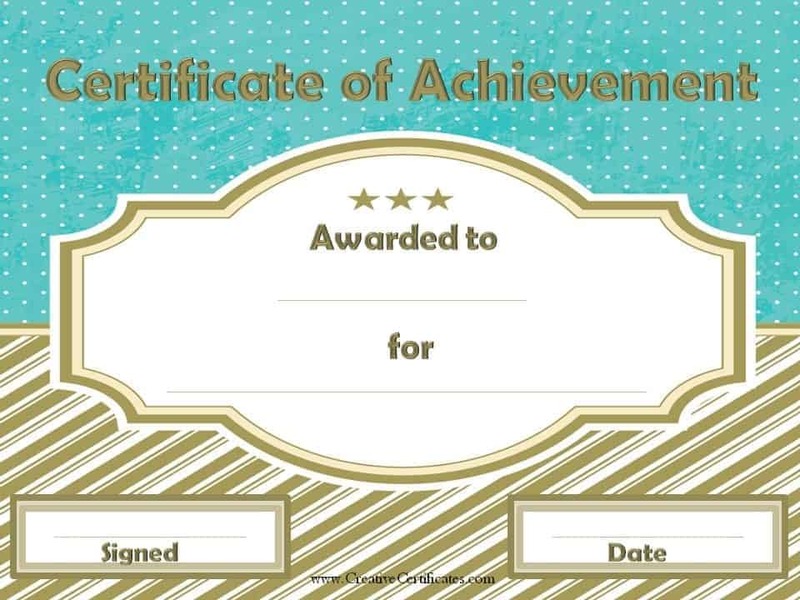 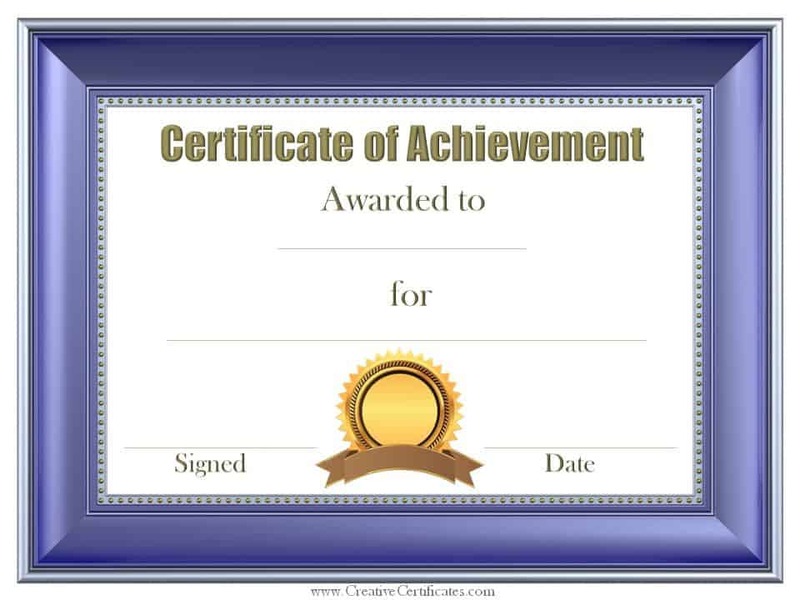 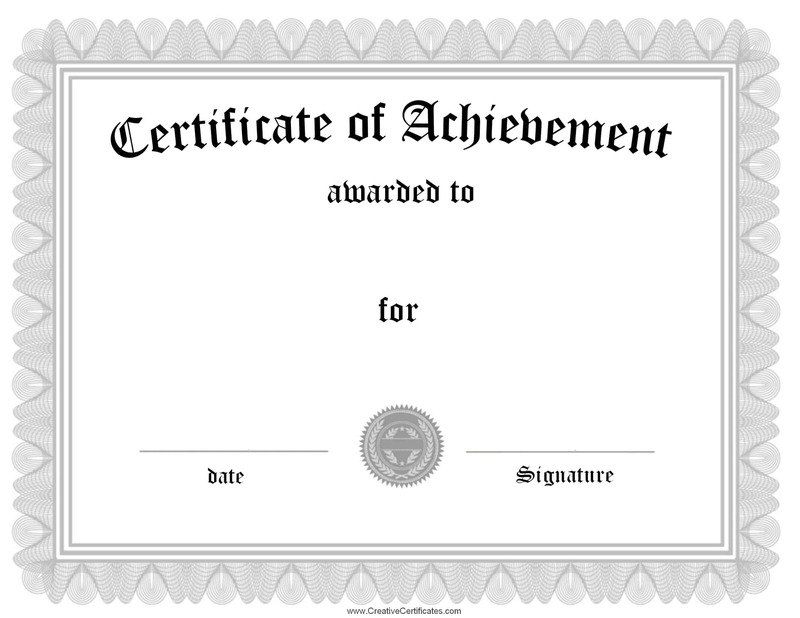 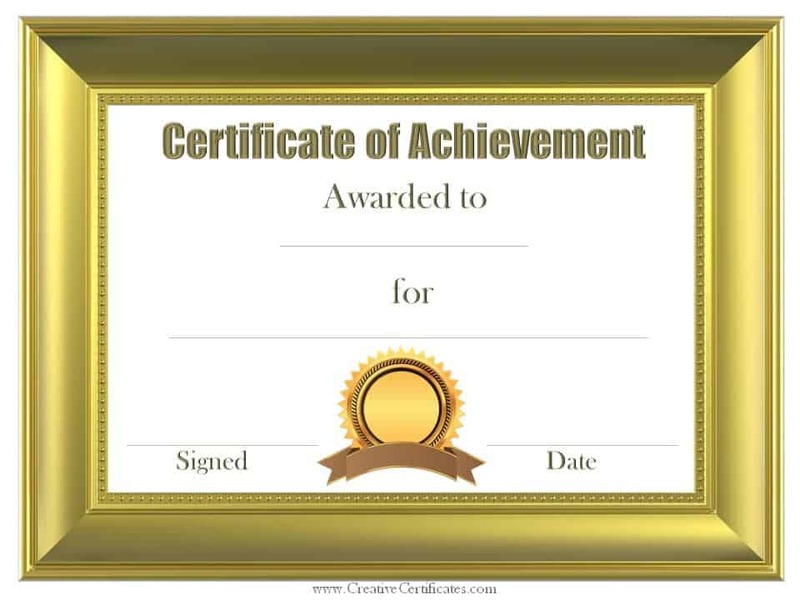 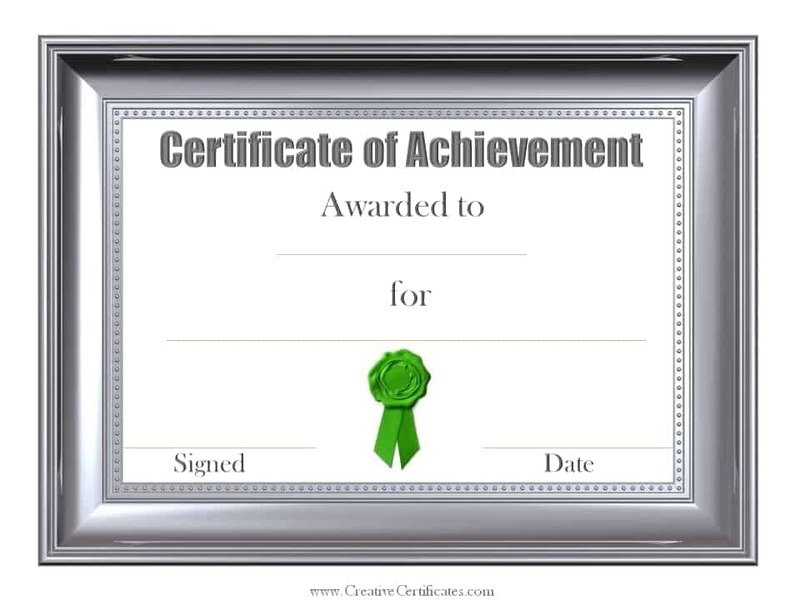 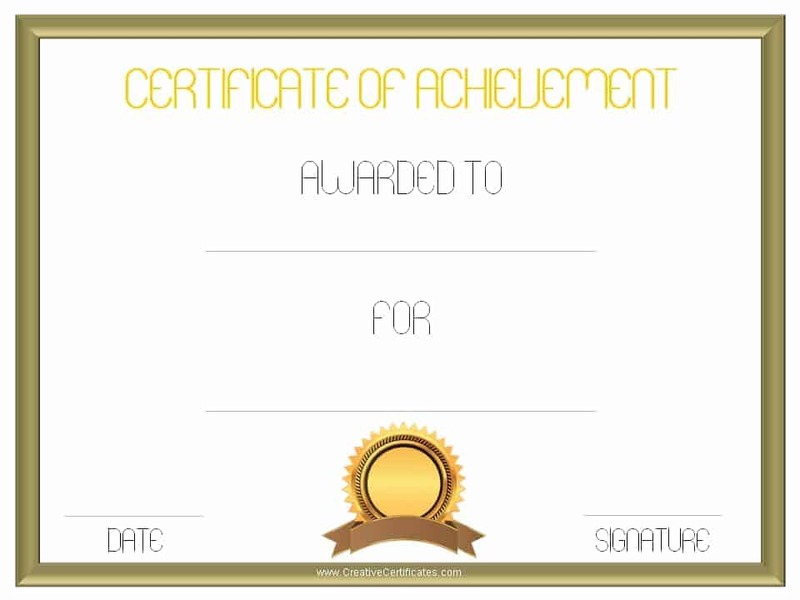 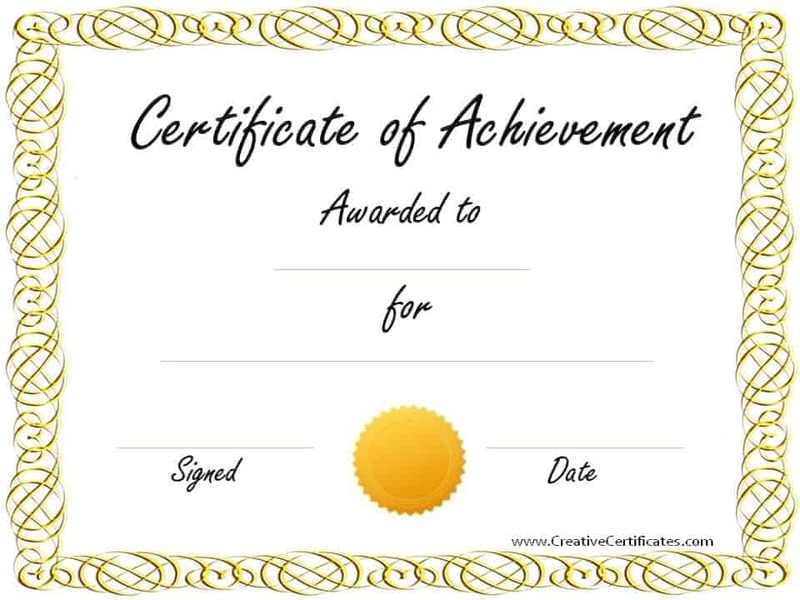 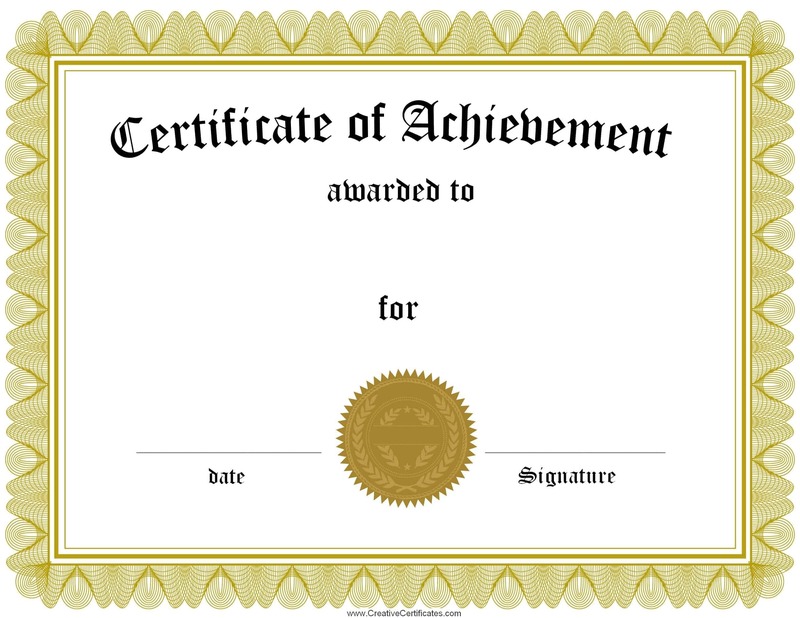 The following printable certificate of achievement templates can be used for any achievement. 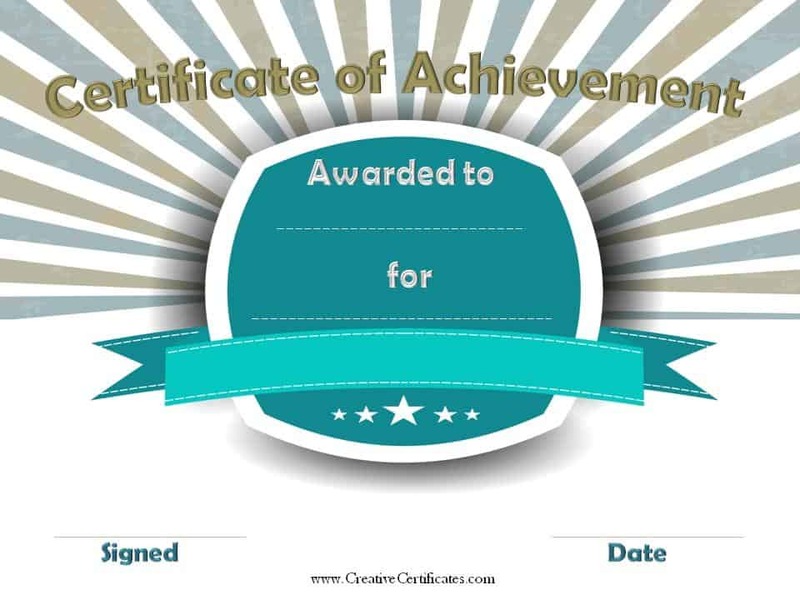 Select the design of your choice and customize the text. 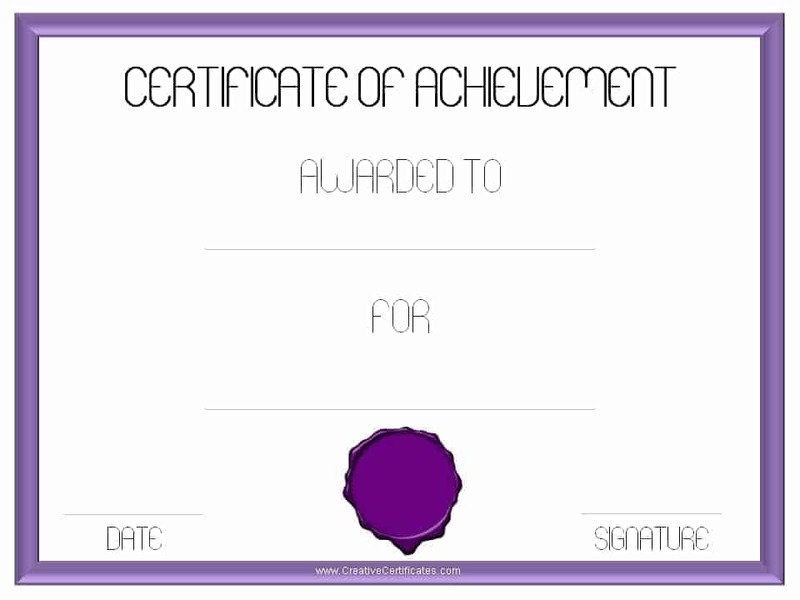 There is a large array of designs available. 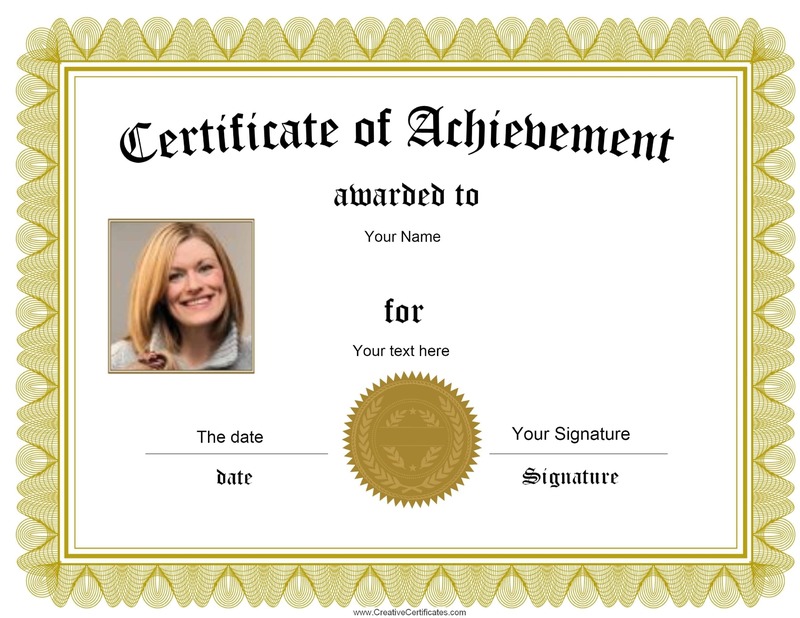 They can all be customized with our free certificate maker. 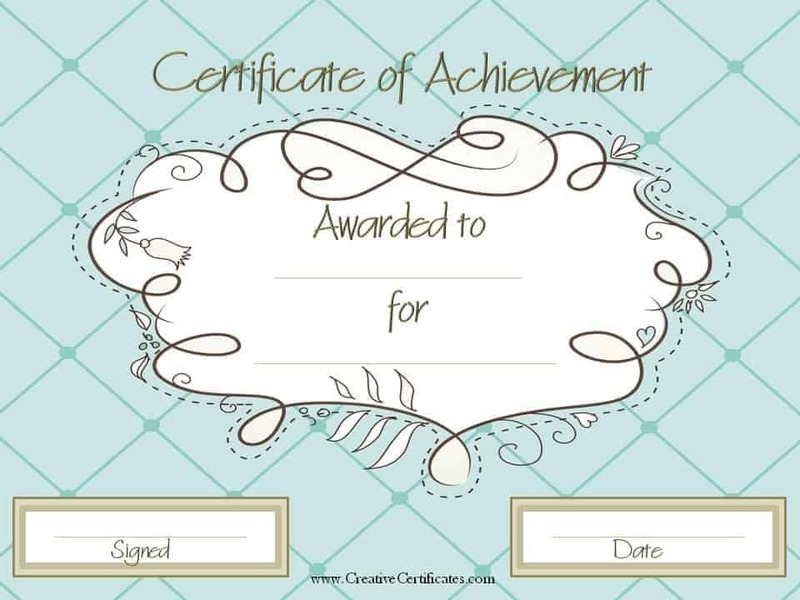 Type the name of the recipient, the reason for receiving the award, the date and the name of the person or establishment issuing the award. 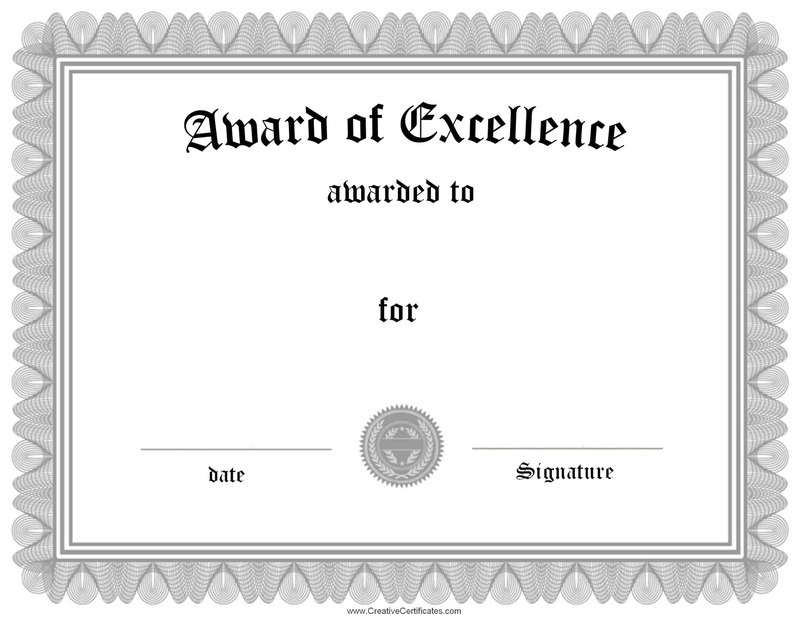 Move the text around if necessary. 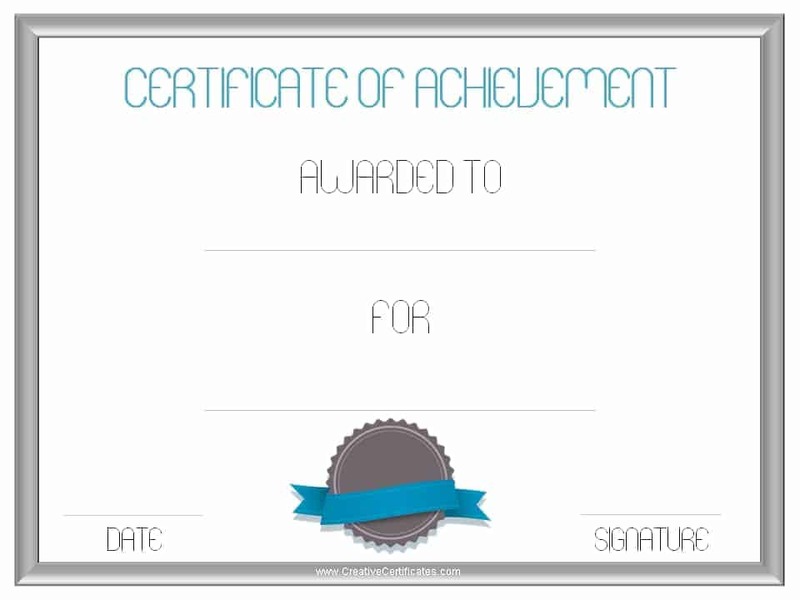 You can also make text larger or smaller if you want. 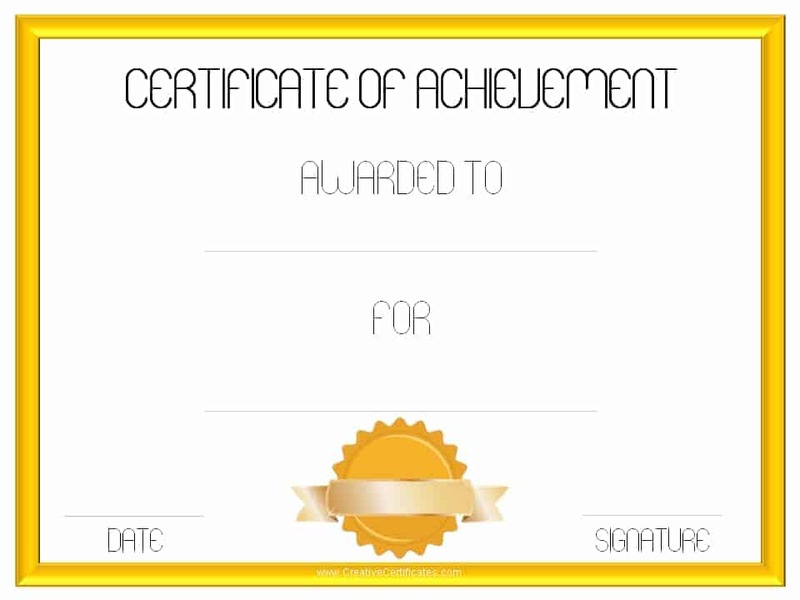 You can change the title if you want. 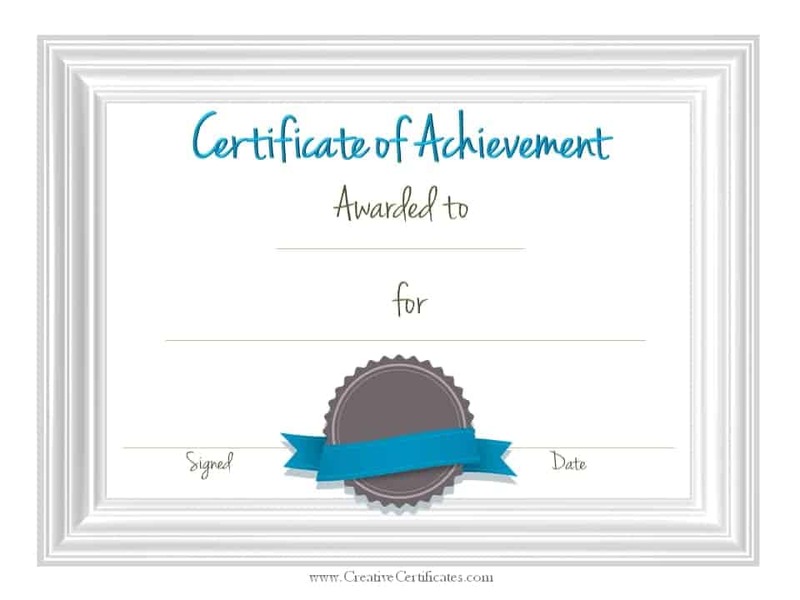 For example, change it to “Certificate of Accomplishment” or any other title. 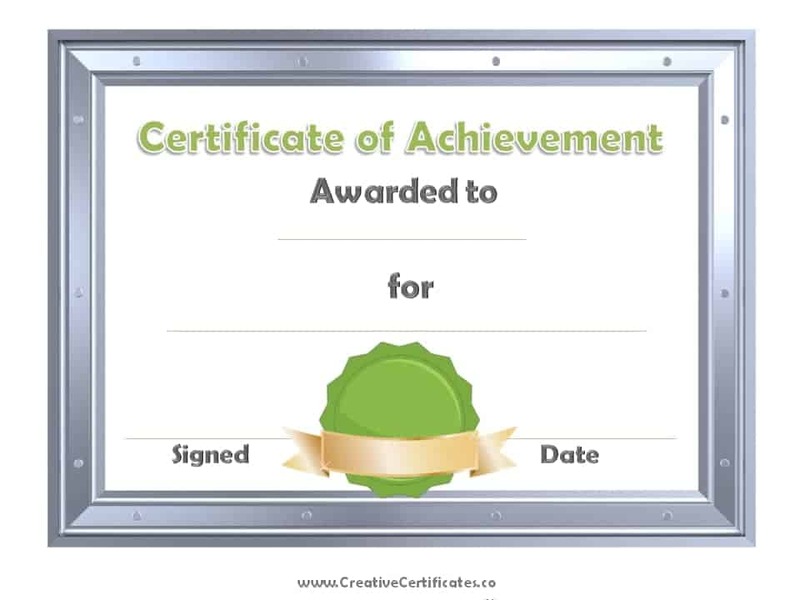 To change the title, double-click on it and type the new text. 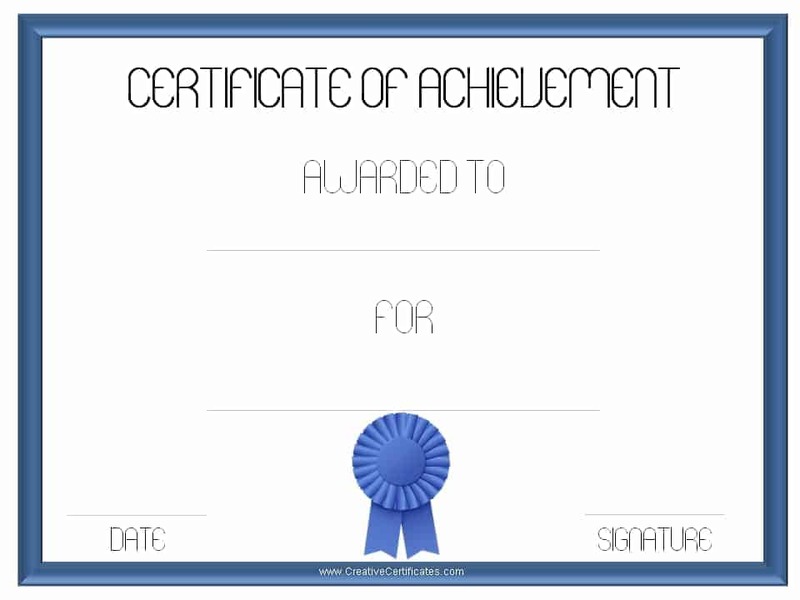 Click on download or print. 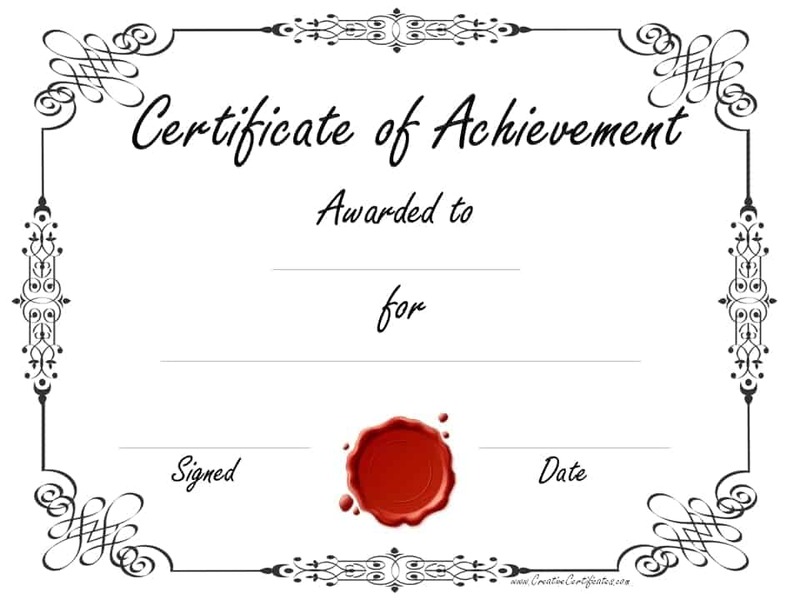 The downloaded certificates will be stored in your “downloads” folder unless you have set your browser’s settings to save elsewhere. 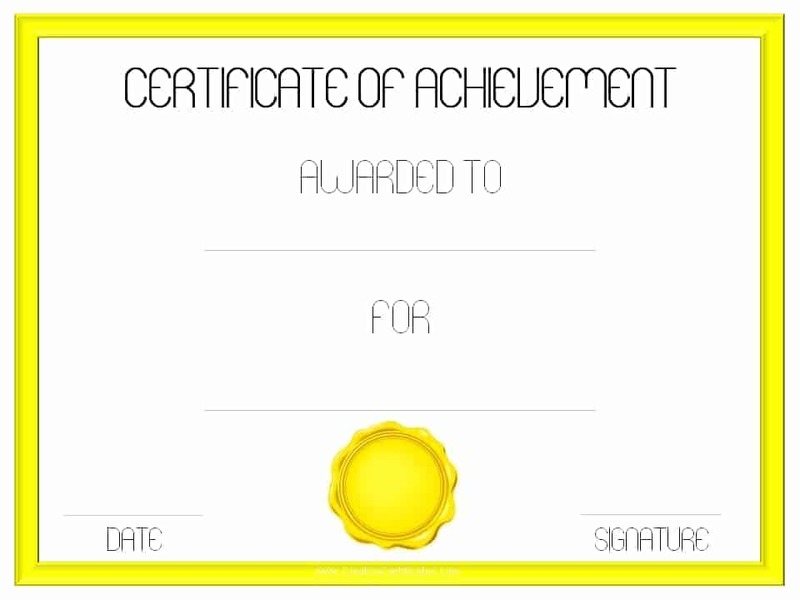 Open from this folder to print. 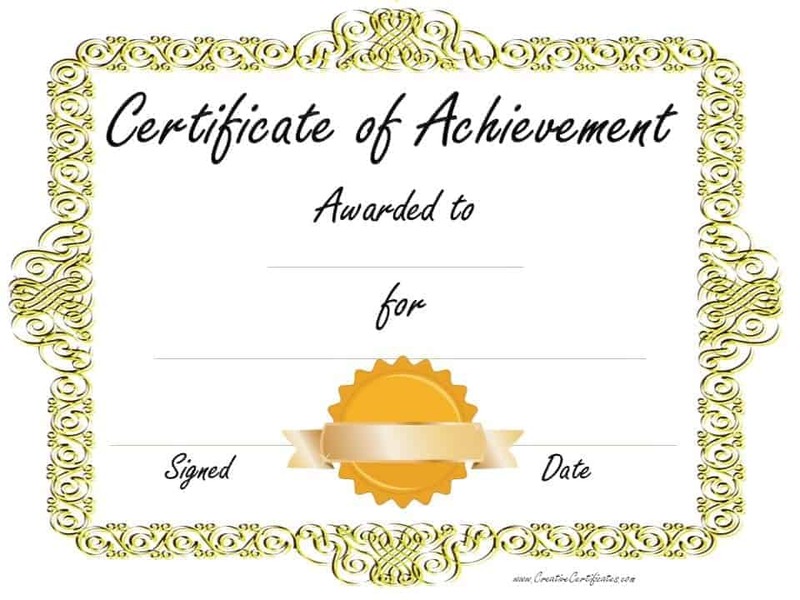 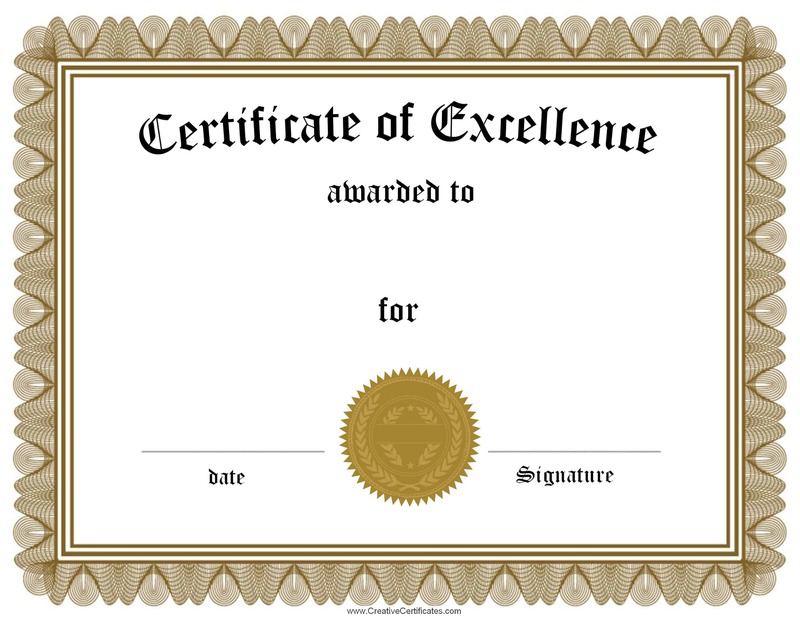 Your certificate is ready! 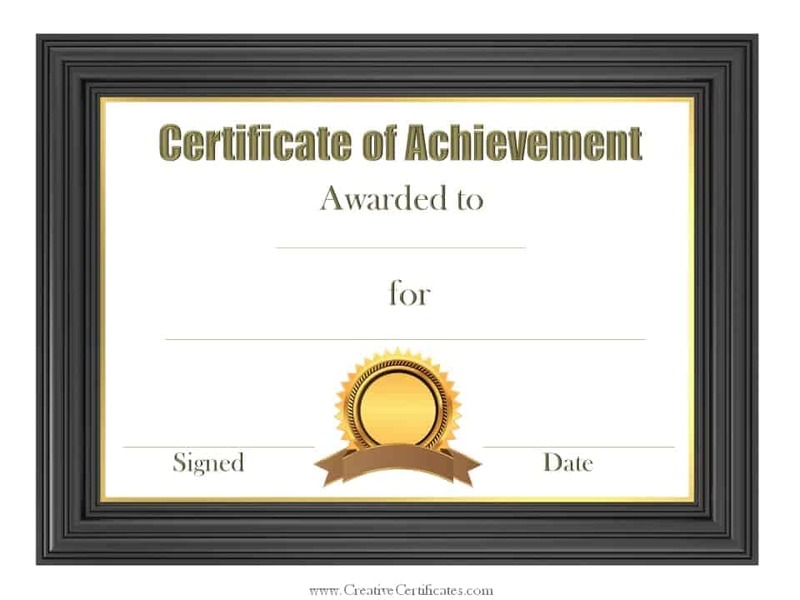 You can give it as is or have it framed.